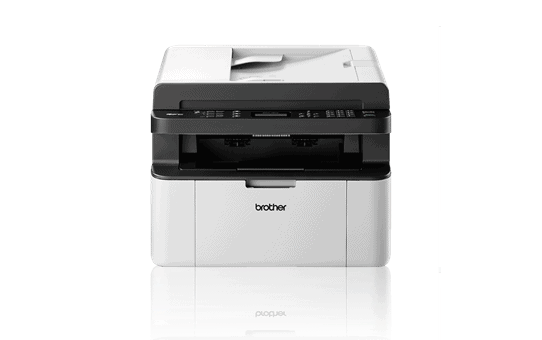 Here we gonna present the procedure how to update the firmware of the Brother MFC-1810E printer. Before we begin, it is useful to know the official support page for this printer. The update of the firmware is essential for this printer because after the original toner is empty and you replace it with a new toner, the new toner is also shown as empty. This bug can be fixed with installing a new firmware of the printer. This is a link for downloading the firmware from the official site. You need to read and click agree on Licence agreement so how you can start the download. There is also a manual on the bottom of the page.
! ! ! W a r n i n g ! ! ! Firmware update is a serious operation and need to be done by professionals only, (and also a people that are aware of what this procedure means). If you don’t know what you are doing easily you can damage your printer. Also, during this procedure it is important that don’t occur power outage. That’s why we recommend to use UPS during the firmware update operation. Now when we take all precautions, we begin with the installation. Double click on the downloaded exe file. Select the language and click Next. Now the application will locate the printer and with confirming the right printer the installation will complete. This entry was posted in Hardware, Maintenance and tagged Brother, Firmware, Printer by Tome Trajkov. Bookmark the permalink.